Learn the basics of drawing that the professionals use by completing step-by-step projects. 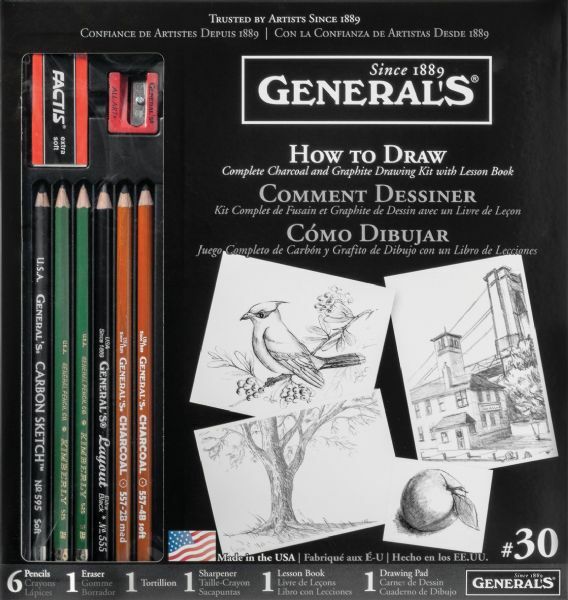 * 11-piece set contains 24-page charcoal and graphite drawing lesson book 20-page artist drawing paper pad three Kimberly graphite drawing pencils two charcoal pencils one layout drawing pencil a drawing stump handheld sharpener and a Factis® ES-20 extra-soft white vinyl eraser. 11.25" x 10" x 1"